Catching a glimpse of this inspiring project on Instagram, I was compelled to reach out to the designers to find out more. Luckily for us they were very forthcoming and I'm excited to share it with you today. 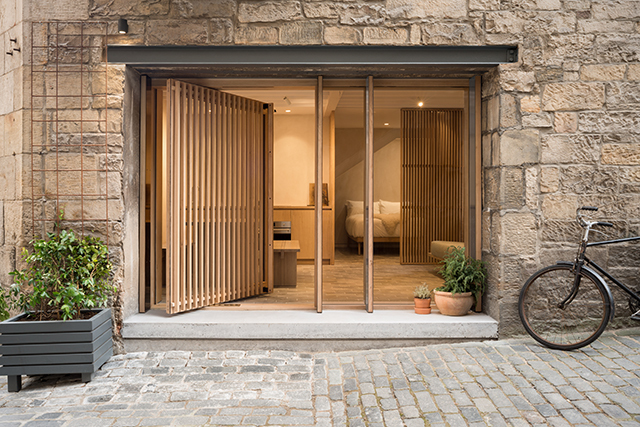 Formerly an 18th century blacksmiths workshop located in the historic heart of Edinburgh, it has been transformed into a minimal holiday retreat using natural materials and local craftsmanship. 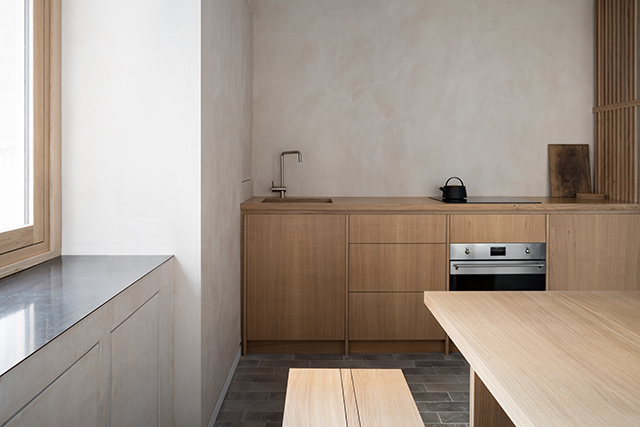 Porteous’ Studio is the first project by Izat Arundell, a small design practice encompassing architecture, craft and food set up by Eilidh Izat and Jack Arundell. 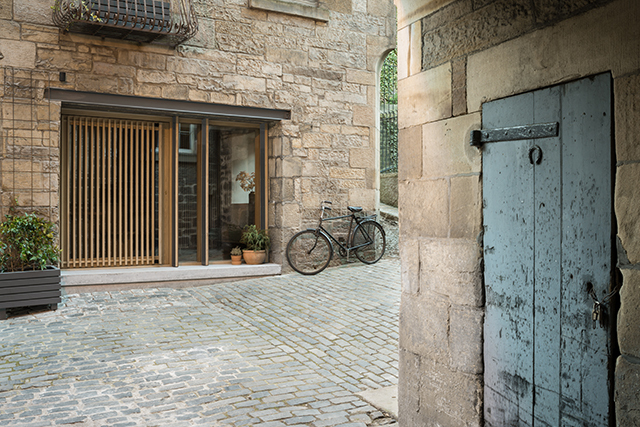 As one of the last remaining undeveloped spaces in the Old Town, Izat Arundell spent months designing a simple layout with quiet aesthetics to create an escape for visitors to the Scottish capital. 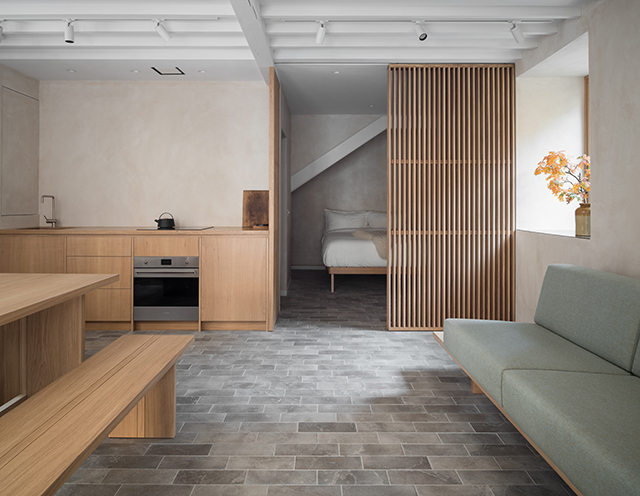 Featuring exposed structural details, a muted palette and natural materials of stone, wood and clay, the interior strikes a beautiful balance between clean functionality and warm, textural interest. 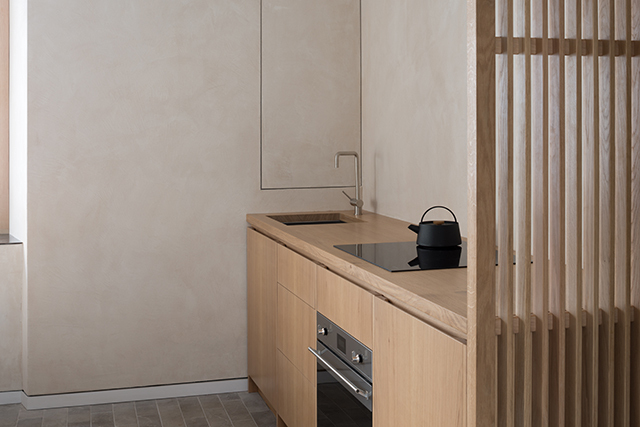 This sense of harmony is further enhanced by bespoke furniture and fittings that feature throughout the studio. 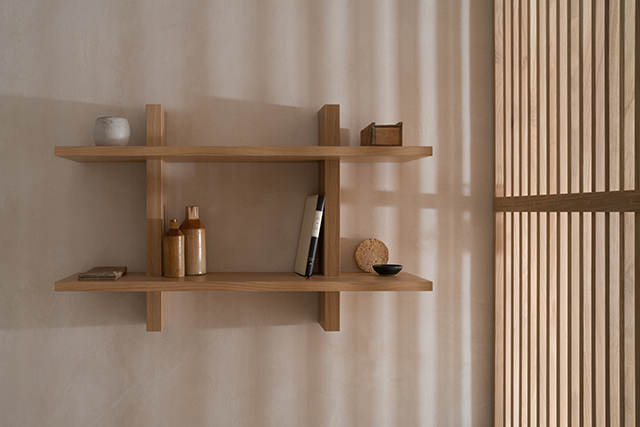 Izat Arundell commissioned friend and cabinet-maker Namon Gaston to design and produce all the furniture from a single native oak tree in order to achieve consistency in tone and grain, allowing the eye to read the pieces as one. 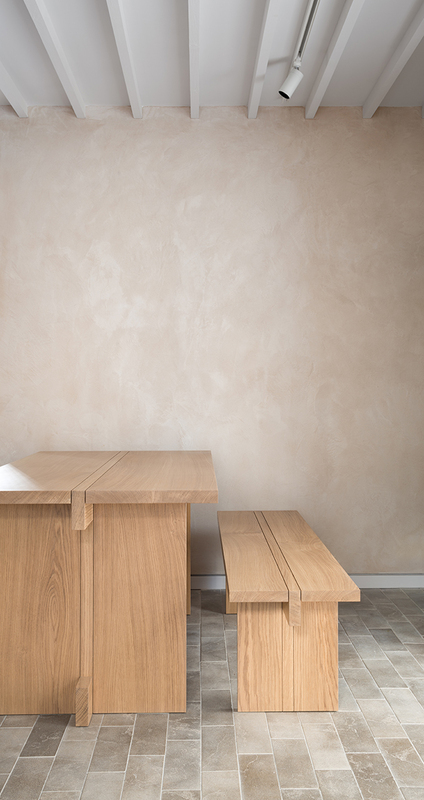 Namon also worked in collaboration with Richard Anstice of 56 North Bespoke Kitchens to create the bespoke kitchen and sliding timber screens, and Peter Holmes of Be Seated for the beautiful upholstery. Going back to those timber screens, this was one of the architectural elements that immediately drew me in, along with the incredible screened pivot door. 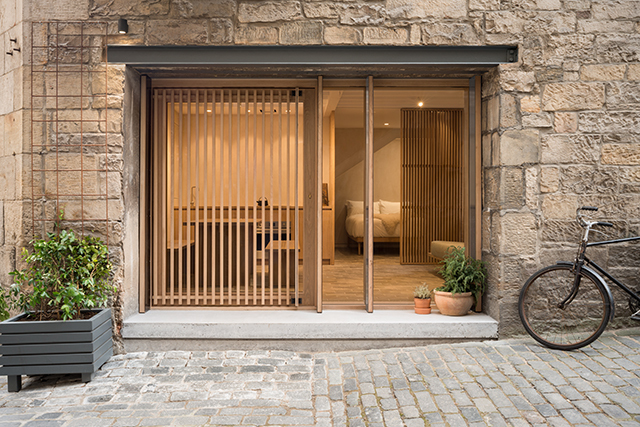 The result of a clever repurpose of the original opening, it provides both privacy and views to the atmospheric Grassmarket. 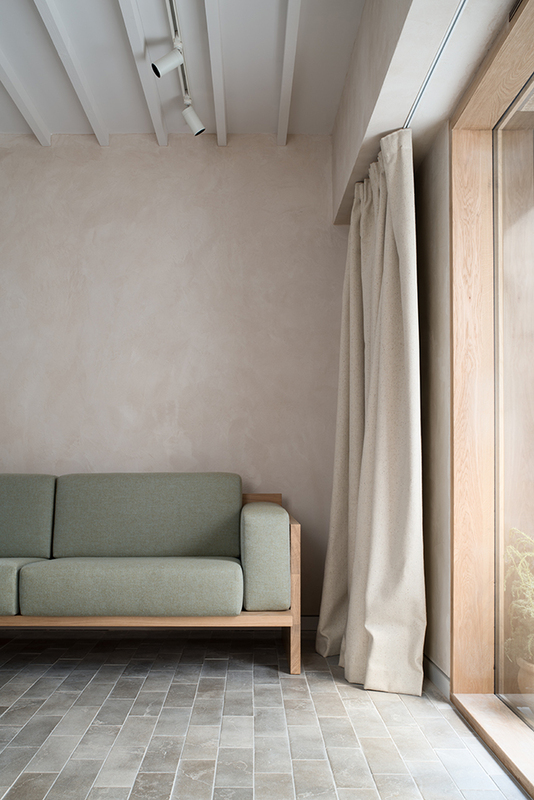 Furthermore, the sliding screens were used internally to conserve space and create a secluded sleeping area. While the north facing orientation of the main entrance casts soft, diffused light across the studio throughout the day, a new window opening was created through a meter thick stone wall to bring evening light into the space and to give views of the stunning wych elm tree in the adjacent garden courtyard. 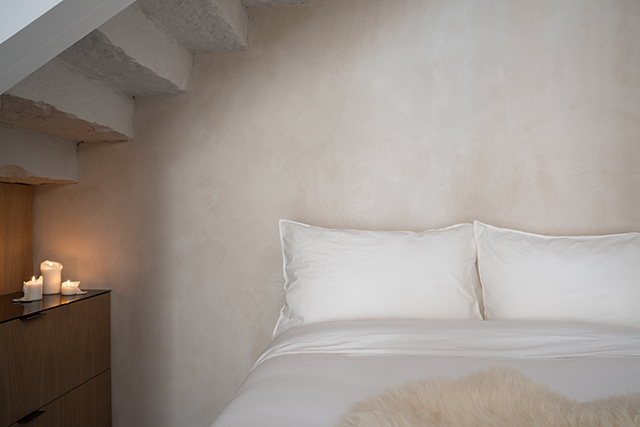 Providing a beautiful textural finish, the Clayworks natural plaster used throughout the studio further increases the quality of light. 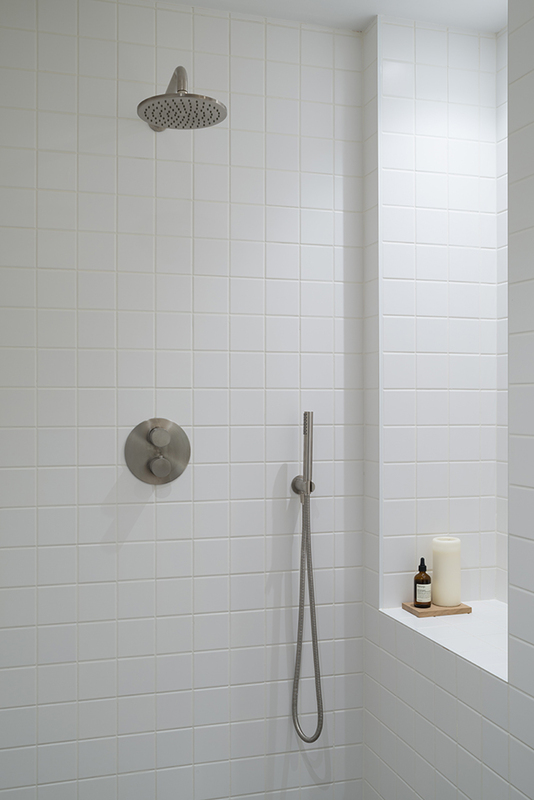 Izat Arundell intended to honour the original floor levels which ran flush between inside and out. However, due to the rich history and archaeological value of the land on which the site sits, a decision was made not to excavate the original slab. Instead, a new insulated and heated screed was laid on top, finished in small format grey limestone tiles to mirror the cobbled ground outside. 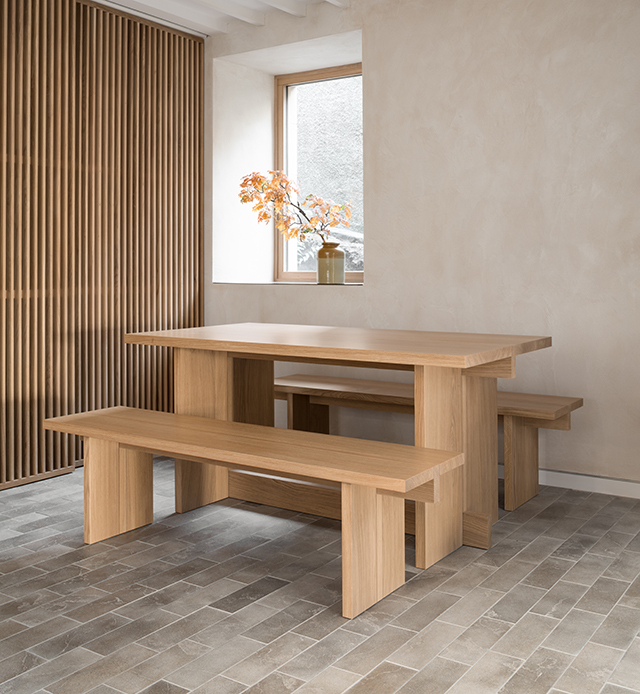 While Porteous’ Studio will mainly be used as a holiday retreat, Izat Arundell are planning a series of small events and monthly supper clubs throughout the coming year to explore ideas and to share the studio with fellow designers and makers. For more information, visit www.porteous.studio. Images courtesy of Izat Arundell. Please note, these may not be used in any way without their permission. 0 Response to "Porteous' Studio By Izat Arundell"